Hang dry your clothes out of sight and out of the way with DryAway. NEED A BETTER LAUNDRY ROOM? Introducing DryAway, the revolutionary way to dry your clothes! Out of sight and out of the way, DryAway’s patented design saves you money while protecting the environment and your clothes! "DryAway is an excellent product for hanging and drying everyday laundry from delicates to bulky items. Our household uses it on a daily basis and has cut down the amount of time we spend doing the laundry. The functionally is a breeze, even our teenage kids "enjoy" doing their laundry. DryAway has made my "laundry dreams" come true." "We had Dry Away installed in our new home after seeing it displayed at the parade of homes. We absolutely love it. It is a very solid and well built product. We get compliments all the time." "We purchased a home with the DryAway clothes dryer installed. We use this religiously when we wash and dry clothes. It has saved us time and also we now seem to shrink less clothes! It tucks away in the area of a small closet and can be customized to your area. Jim, the inventor, is very passionate about making your system work perfectly for you and is very easy to work with. We love it - thanks!" "LOVE this product! I hang dry everything but socks, towels, and underwear and for years have had an ugly accordion rack sitting out in the hallway. 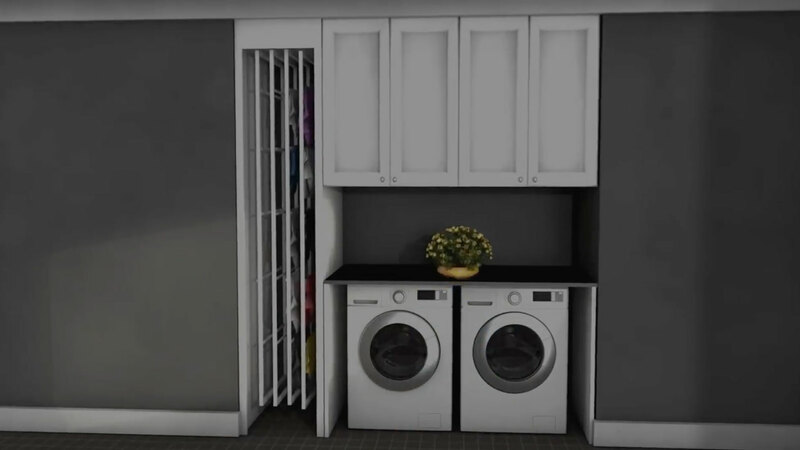 We just built a home and after learning of this new innovation when designing our laundry room, I had to have it. We have now been in our home 2 months and I could not be happier with the DryAway system. I was skeptical about 2 things before using it: would the airflow truly circulate well enough to efficiently dry our clothes, and would the metal rungs leave a linear indentation. I had no reason for concern! Our clothes dry extremely well with no marks and there is plenty of hanging room on the 6 racks for our family of 5. Best of all, I have a very sleek looking laundry room without an eyesore of a drying rack like I had before." Jim Lutz, the inventor and founder of DryAwayTM had a problem with his laundry. Since college he has been hang drying his clothes but found the products on the market did not meet all his needs. There are few products available and most are similar to the common accordion style drying rack which are cumbersome, fragile, take up space, get in the way and display your clothes to everyone that comes over.